Catarina Rocha sits just outside the National Top 25 rankings and has remained on the Watch List since the beginning of the season. The 2010 Foot Locker Finalist has been very quiet during the first 6 weeks of the season and her national ranking is most likely due to inactivity. But the modest junior from Peabody, Massachusetts, will be the first to tell you that rankings don’t matter. Rocha concluded the 2010 cross country season by finishing second in the Massachusetts Division 1 Championships, 8th at the Foot Locker New England Championships, and 31st at the Foot Locker National Championships. A sophomore at the time, Rocha had to learn how to manage a very long and demanding post season. The lesson was not lost, and it appears she has offset her training cycles to make an even more successful journey to the Foot Locker National Championships in December. Rocha is clearly fit; winning dual meets with relative ease and setting local course records along the way. But she has yet to be tested and truly pressed mid-race by an aggressive pack. That test will come on Saturday, and you can bet Rocha will respond to the challenge. Aisha McAdams from North Kingstown, the 2010 New England Indoor 2 Mile Champion, may just lead the charge. Rocha and McAdams are familiar adversaries and the two have raced several times; most recently at the 2010 New England Track Championships where Rocha broke the early challenge of McAdams and went on to run a season best 10:41 in the 3200m. But the pair will have company and a sea of maroon jerseys may envelop the two as the team battle rages in the front pack. La Salle Academy (RI) boasts the deepest rotation of any team in the field, and the 2010 Rhode Island State Champions return 6 of their top 7 from last year. 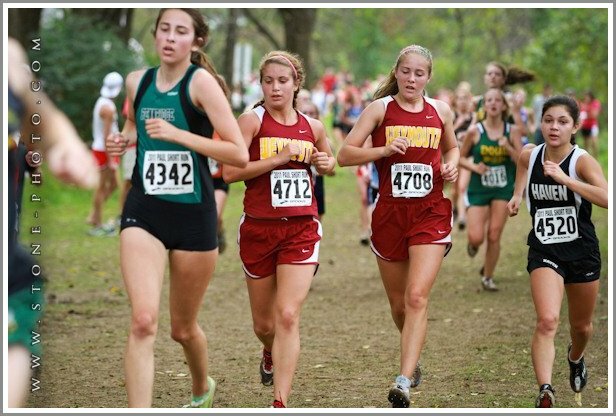 The Rams are led by Molly Keating who has run 18:28 for 5,000 meters, and they follow that up with three other girls that can run under 19 minutes. Caroline Falvey, Evie Jansen, and Emily Papazian all finished in the top 10 at last year’s Rhode Island State Championships and together they combine to form a very impressive front pack. The other half of the maroon onslaught will come from Weymouth High School (MA). The Wildcats have taken some time off from the invitational circuit to tend to some dual meet business, but they appear rested and poised for another big race. The defending Massachusetts Division 1 Champions slipped in the rankings this week to #4, but don’t let that fool you. They return 4 out of 5 athletes from their 2010 championship squad and the addition of freshman Ashley Betts has once again given them a very dangerous 1-5 gap. Sachem East (NY) is off to a good start in 2011, and racing in New York ensures that you will be battle tested by mid-season. The group from Farmingville, New York, finished 2nd at the Suffolk Coaches Invitational and 7th at the Reebok Manhattan Invitational. Senior Rachel Paul led the group in Manhattan, finishing 7th in 14:45, but their strength is their depth. After Paul finished the team brought in 3 runners in only 36 seconds. This group looks very similar to Weymouth and it should be a gripping battle for the podium between the two teams. Barrington High School (RI) finished 4th at the 2011 Ocean State Invitational Championship Division and placed four runners in the top 30. Their problem was not up front, but the deep field was sure to expose any potential flaws. But judging Barrington off that one performance is ill-advised because Abigail Livingston was not in the line-up. Livingston was 6th in the 2010 Rhode Island State Meet, and her addition to the scoring five dramatically changes their point potential and 1-5 gap. Coe-Brown Northwood Academy (NH) – This team won the Bobcat Invitational with an impressive 54 total points. Led by sophomore Jessie Carney, they went 3-7-10-16 with a 20:25 team average for 5K. 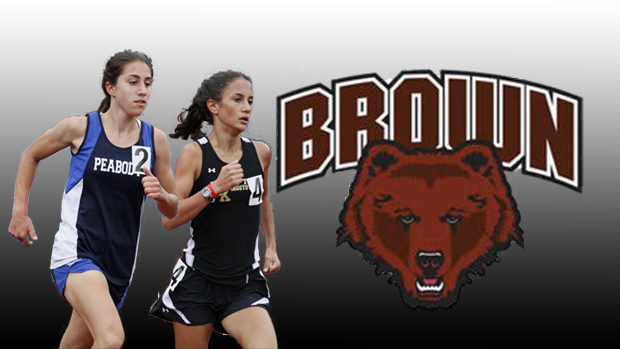 They also have big meet experience, finishing 6th in the 2010 New England Championships. Wellesley (MA) – Priyanka Fouda has quickly regained her 2010 form and demonstrated her ability to run with the state’s elite when she picked-up the individual win in their dual meet against Weymouth. Wellesley is currently ranked MA#15, but they have yet to compete at a major invitational. Benjamin Cardozo (NY) – They will be represented by only two athletes in the championship race, but the two that will race are good. Sabrina Southerland finished 3rd in the Ocean State Invitational with a time of 19:15, and teammate Alexis Panisse was not far behind in 4th at 19:19. Expect both to be in the lead pack.